When trying to make money by playing poker games, choosing the right amount of bankroll to operate on is the key to success. Assuming the best management strategy plan is not an easy task to do, but the one every serious player has to figure out. Steadily moving up the ladder is the best way to turn a profit in a long run. It is always a good idea to turn for advice to professionals, even if they don’t provide a straight answer every time. That just goes to show you how complicated some issues might get, and dealing with poker budget surely is one of them. Famous Daniel Negreanu believes everyone faces unique circumstances, so the easy fix that would be applicable to all simply does not exist. The legendary player is known to frequently provide quality written or video material shared at pokernews.com and YouTube or similar media channels. In this particular situation, legendary player outlines a few crucial questions that need to be raised before deciding about how much to spend on playing. In the light of that, it is important to honestly assess own abilities and readiness to go broke, should this unfortunate occurrence happen. 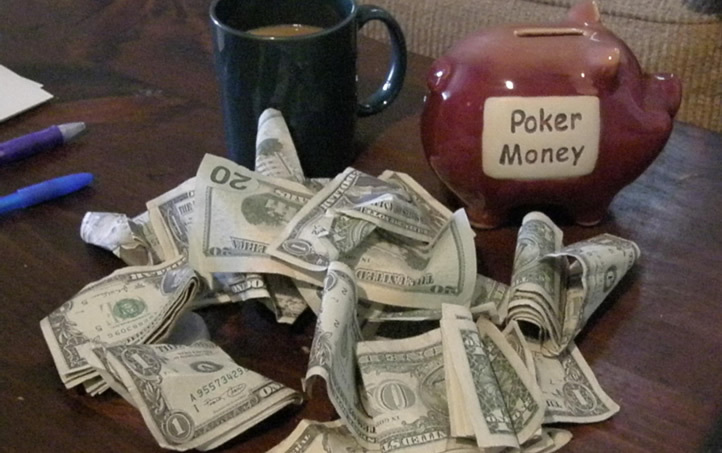 With established bankroll, it is about time to make some money. The way to do that is by following proper rules of managing your funds. That signifies finding comfortable level of stakes in cash games, or tournament buy-ins, and maintaining strong discipline. Making a plan and sticking to it is one thing, but it doesn’t have to mean such an approach needs to last forever. In order to actually turn some profit, it is possible take more risk from time to time. It’s called taking a shot and consists in temporarily switching to higher stakes, f.e. moving up a notch the cash game criteria. Such move is permittable, and could be a nice method of rewarding oneself for consistent attitude and job well done. As long as the idea hatched for the right reasons. More often than not, players would do it only to make up for recent losses. Instead of breaking a losing streak you can just as easily speed up the running out of money process. That’s a bulletproof system to go bankrupt sooner rather than later. The second rule to remember is to go back to the previous settings that are compatible with current bankroll. Finally, there comes the time to make a decision of jumping to higher levels permanently, as a result of good performance and successful cash management. The natural moment for the change stems from properly executed strategy. In other words: continuing to do what has been working so far. Therefore, if a fixed number of buy-ins used to determine the stakes reaches the point when it is true for the higher stakes requirements, it is a good idea to switch. Even if the bankroll is short a few, taking a risk here shouldn’t hurt. After all, when something isn’t right, you can always go back to the way things were, if that feels more comfortable.